The Church of Christ West, tucked away at the end of a small street in Plymouth, Michigan’s “Old Village” neighborhood, is the quintessential small town or country Protestant church. It is undeniably American. While some of our more grand and glorious churches, borrow much from European cathedrals, more humble houses of worship, take an understated new world frontier approach. Churches not unlike this can be found in small towns all over the country. This one happens to be in my hometown. It’s certainly not “beautiful” in the traditional sense, but it feels cozy and inviting. I’d like to know what the congregants there are like, what their theology is, and how they worship. Maybe I should visit and found that out. We are a congregation that follows the New Testament pattern for worship, salvation, organization, and manner of life. This means we love Jesus Christ, His word with its commandments, and all His creation. Jesus Christ is the only head of the church and He is the preeminence in all that we do as we strive together to please Him. Our goal, creed, mission, and purpose is found in the New Testament as authored by Jesus Christ. 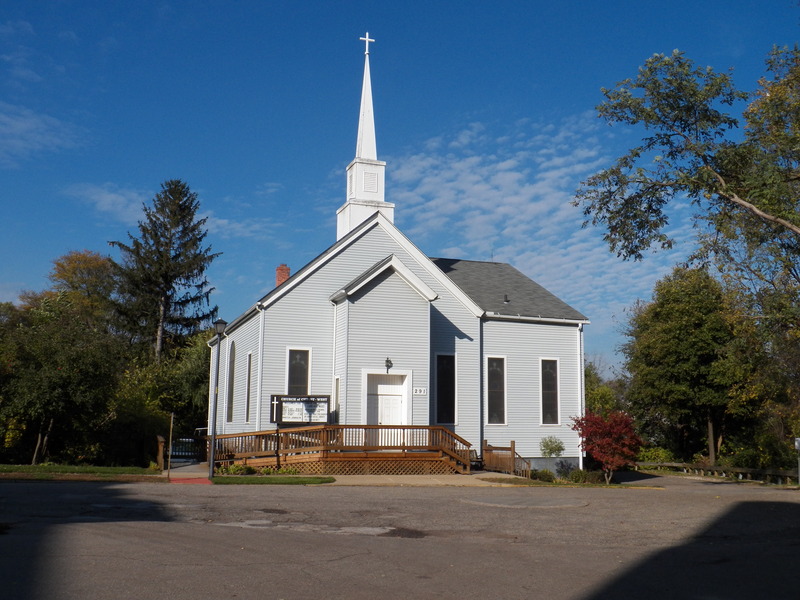 Church of Christ West is located within the historic downtown Plymouth community. Along with traditional Sunday services, a Michigan Bible School is available on site. Youth, adult and senior outreach programs are available. Visitors are welcome to join in on regular Sunday services or Wednesday’s Bible school.